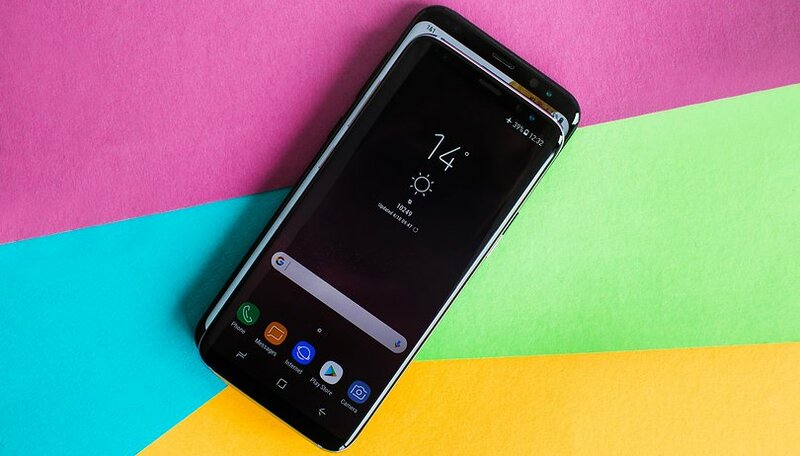 Following a beta testing period of a few weeks, Samsung started rolling out Android 8.0 Oreo with Samsung Experience 9.0 for the Galaxy S8 and S8+ earlier this month. The update was stopped just a few days later. We now know Samsung put the brakes on the update due to a number of users reporting bootloop issues. An update to fix the problem is in development, but if you've already installed the faulty Oreo update and you're experiencing bootloops, here are a few tips and tricks to solve the problem. What's happening to your phone? Bootloops are when your phone gets stuck restarting over and over again. You'll know it's happening when you see your phone manufacturer's logo on the screen and then the Android system starts to load, and then all of a sudden if fails to start up properly and the boot process begins again and again until the phone's battery dies. So, you're trapped in a bootloop. What now? Normally, one might call up customer support and describe the problem. Then they might tell you to send them your smartphone or bring it to the nearest service center. That's a pain, and it might be unnecessary if you use the following tips. Android has its own built-in way of solving these issues called Recovery Mode, and we'll show you step-by-step how to take advantage of it here. Note: Sometimes bootloops can prevent you from entering Recovery Mode. Don't worry, there's a way around this. If you're unable to turn your device off, which is the first step of both of the processes we detail below, just let it bootloop until the battery dies. Leave the phone powered off, and then plug it in. Once it has some juice, you'll be able to get it to enter Recovery Mode by following the steps below. Once that happens, use the Volume Up and Down keys to navigate to "Wipe cache partition"
If this doesn't work, then you can move on to the next option below, which can also be found in the Recovery Mode. Before recommending this step, we would usually recommend backing up your data. But, if your phone is trapped in a bootloop, then you're unfortunately too late to do that. Doing this will remove all your data from your phone's internal storage. Once that happens, use the Volume Up and Down keys to navigate to "Wipe Data / factory reset"
You should be out of the bootloop after following the above process. Although you'll have to set everything up again from scratch, at least you'll still have a usable Galaxy S8 or S8+. If the bootloop problem persists nevertheless, you should contact Samsung. Did these tips work for you? If you're having other issues with your Galaxy, leave a comment below so the AndroidPIT community can help. Hi there, It does work in my particular case I had to wait 14hrs untill battery drained down to 5% than I got cmd menu where I have cleared cache and rebooted normally, Thanks Guys ! had this probelm woth brand new galaxy s8, after hour with Samsung tech support returned for another brand new galaxy s8, same exact problem. sat on the phone with Samsung tech, then t-mobile tech guy for 90 minutes, wiped cache partition many times, wipe data/factory reset many times, did one immediately after the other several times, turned off auto update and Wi-Fi, then finally stopped bootlooping. soon as I turned on WiFi again it started all over again. what should I do now? samsung customer service was horrible. I just upgraded to the Note 8 and it was doing the update to the software while it was simultaneously downloading all my apps and I think I've got a bad version of Oreo. What is the best way to just install Oreo and then reinstall all my apps if anyone has a suggestion on that I am greatly appreciative. Wi-Fi calling is not working on my phone anymore apps are freezing up. I too had the same problem with my s8 plus, and couldn't do anything, neither cache wipe, reset, nor remove sd and Sim card worked. I could turn of phone, but when I started it, it went into installing software and then came up with error and dead Android sign. Just too to Samsung service and got it back within 20 minutes. But it has restarted only once in 3 days. So will see. We have encountered this problem after upgrading an S8 to Android 8.0 and have fixed it as follows. After trying option 1 to clear the cache (it didn't work) and to avoid using option 2, since it deletes the whole terminal and we didn't have a backup, we took the SIM and SD out of the terminal and after rebooting, Android 8.0 continued its installation and finally started up. We have seen then that in the security options, as we had the "safe start" option activated, we have disabled it, since otherwise, every time we restarted or started up the terminal, it would remain in the boot loop if we did not remove the SIM and SD again. I am wondering and looking this website. I got sufficient information from your soul of heart.